Another long wait to finally get to see Dr. B. Truthfully, I was annoyed. The office makes such a big stink for people to arrive on-time yet they make people wait and wait and wait. Anyway, purple elastic ligatures this time (Halloween’s approaching)… I asked Dr. B about the big stubborn gap among my left lowers (please see previous posts). He said it may have to stay like that. I couldn’t believe my ears?! With all that money and sacrifice, I expect perfection. I’m going to have a polite private chat with the over-seeing dentist for a second opinion. I don’t want to wait too long to have this conversation with Dr. L. I’m upset and rightfully so. I know no one can see this spot unless I open my mouth for someone to look in but the point is I know it’s there and it bothers me :(. Dr. B also said that my right lowers are starting to get a little crooked and he wants to fix this issue. This was in response to my question of how much longer I have to wait until the braces come off. I was estimating about 5 months but now who knows? remedy: soft diet, rinse with warm salt water, talk to orthodontist. 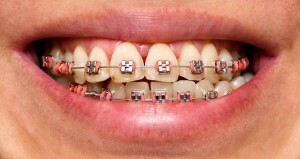 remedy: cool or warm water rinse, soothing protective gels & rinses, orthodontic wax, talk to orthodontist. 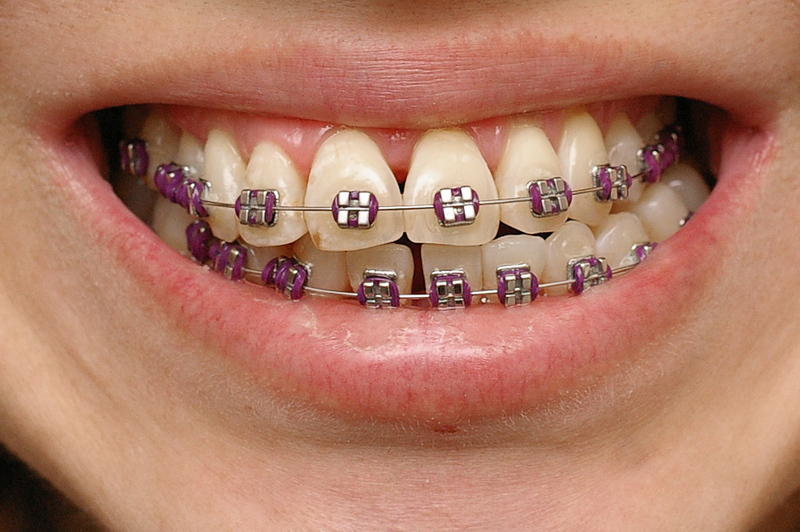 sorry, you’ll have to live with this for a little while; you may want to mention this to your orthodontist. don’t be afraid to ask questions during your initial consult. this is actually normal (may seem a little scary) but when in doubt, consult with your orthodontist. *make sure you are aware of your orthodontist’s availability just in case emergent issues arise. I wish I had known that Dr. B was only available twice a month at my particular dental office. Having experienced all of the above, I still think I made the right decision to get braces. It hasn’t always been easy but the promise of a good end result is worth the adjustments and sacrifices I’ve had to make. Nothing remarkable to write about. I requested for pink elastic ligatures mainly because I like the color… The usual late evening to early morning soreness after the braces tightening. Not what I would describe as pain but a dull discomfort that seems to quickly dissipate as the day drags on. Wow, I can’t wait until they are finally off! It’s not that they bother me that much; sometimes I’m unaware they’re even on. It’s just that I’m looking forward to the visible progress of straight pearly whites.